This is without a doubt, the nicest of the big Out Islands on the market. Everything has been done to bring her up to date. Bow thruster, Newfound Metal Ports, Awl gripped, Furling Main, Electric Windlass, it's all been done. 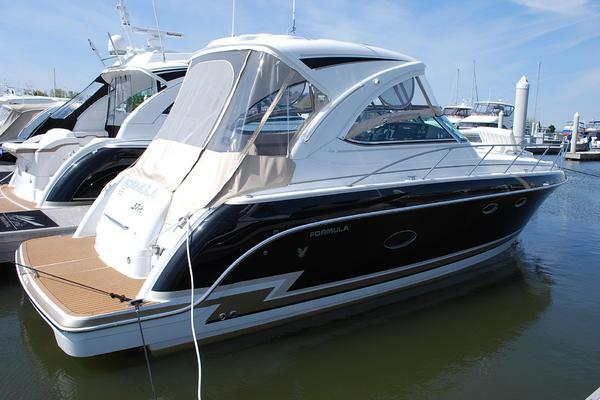 If you want a long distance comfortable cruiser that's ready to untie and go, If you've looked at the Out Island 51, and would like the same boat with a smaller slip fee. 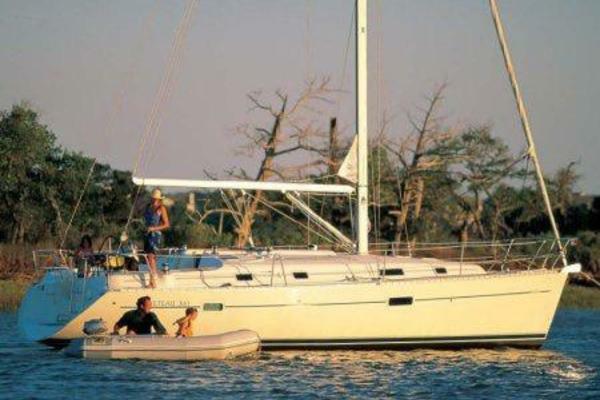 If you just want a really pretty boat, Acadian is a definite Yes. ENGINE: Perkins model 4-236 four cylinder fresh water cooled 85 hp diesel. Single lever engine controls on binnacle. Engine instruments on binnacle include tach, oil pressure, water temperature, volt meter and hour meter. Two Racor fuel filters/water separators, water lift exhaust, raw water strainer, three blade prop. Automatic fuel filtering system. Approx. 8,000 hours, runs and looks new! GENERATOR: Northern Lights 6 kw diesel generator with sound shield. 672 hours. ELECTRICAL: 12v system with three group 31,AGM 12 volt batteries in a box inside the engine room door, one group 24 lead acid 12 volt battery in the utility cabin and two Odyssey model PC2150 (group 31) AGM 12 volt batteries below the v-berth, selector switch, 12v breaker panel with volt meter and Tru-Charge 40 amp automatic battery charger. Evergreen 120 watt solar panel. 50 amp 110v system with breaker panel and two shore power cords. SAILS AND RIGGING: Masthead ketch rigged. Anodized aluminum masts, booms and spreaders. Double spreader rig on main mast. Main mast stepped on keel, mizzen mast stepped on deck. Double lower shrouds, intermediate shrouds, inner forestay with Hifield quick release lever, and twin backstays (one insulated). Four to one purchase main sheet on deck aft of cockpit, mizzen sheet on mizzen mast. Two Lewmar #48 primary sheet winches, one Lewmar #48 self tailing main sheet winch aft of cockpit, two Lewmar #16 winches on mizzen mast, two Lewmar #16 winches on main mast and one Lewmar #8 winch on main boom. Sails include main with Facnor in mast roller furling, Genoa on Schaffer System 3100 roller furling, mizzen and asymmetrical cruising chute with sock. Whisker pole. ADDITIONAL EQUIPMENT: Wheel steering, Ritchie binnacle compass, GemTronics VHF, Icom IC M710 SSB, Standard Horizon digital knotmeter, 19" Insignia flat panel TV, 12 volt am/fm/cd stereo, Delphi XM2go XM radio, FishTV7 underwater camera / TV, Walkabout HH3 tablet, Acu-Rite Weather Station, Galleymaid three burner propane stove with oven, Microwave, Sailor Boy 12v holding plate refrigeration, Ice maker, Marine Air reverse cycle marine air conditioning: three units totaling 30,000 btu, Pressure water/shower, 110v/heat exchanger hot water heater, Manual and electric bilge pumps, Stainless steel bow and stern pulpits, Double life lines with gates port and starboard, Stainless steel bow anchor roller, Lofrans Project 3 verticle electric windlass with chain gypsy, Ideal rode only vertical windlass, 85# mantus anchor with chain and rode, Bimini with stainless steel frame, Dodger with stainless steel frame, Full cockpit enclosure, Cockpit cushions.